Lots of flight controllers (FCs) such as the ArduPilotMega (APM), the MultiWii and the KK2.1.5 use header pins for the control input channels. 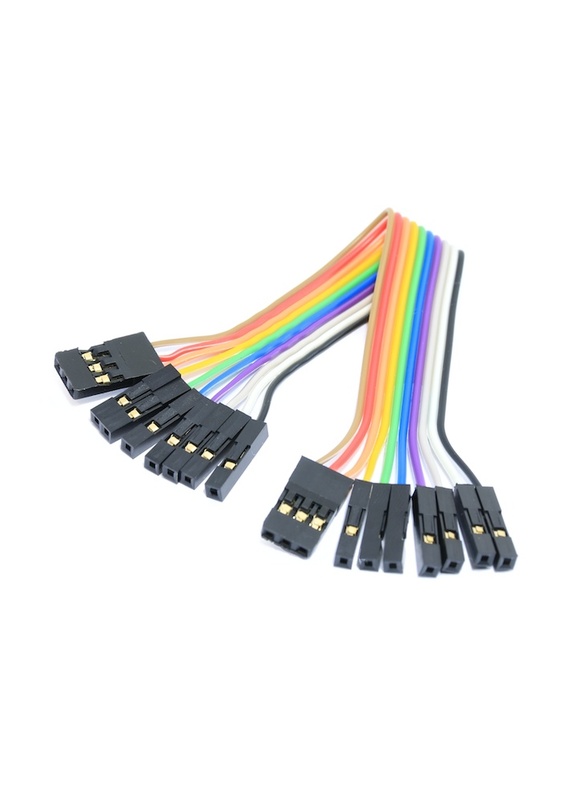 This handy ribbon cable eliminates the mess and confusion that comes with wiring up your FC to your receiver (RX) with traditional jumper wires. The cable consists of a 3 pin female to female with 7 other signal lines; this allows for a total of 8 PWM channels and power/ground to be connected between your RX and FC. Best still if you only require say 6 input channels rather than the full 8, you can simply strip off the two unused wires.